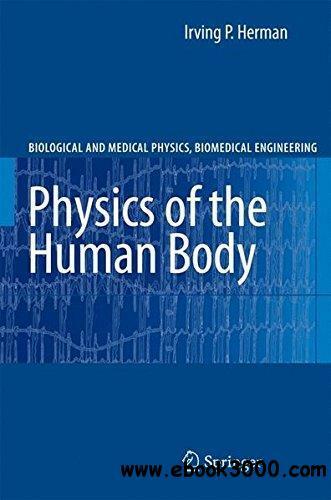 Physics of the Human Body comprehensively addresses the physical and engineering aspects of human physiology by using and building on first-year college physics and mathematics. Topics include the mechanics of the static body and the body in motion, the materials properties of the body, muscles in the body, the energetics of body metabolism, fluid flow in the cardiovascular and respiratory systems, the acoustics of sound waves in speaking and hearing, vision and the optics of the eye, the electrical properties of the body, and the basic engineering principles of feedback and control in regulating all aspects of function. The goal of this text is to understand physical issues concerning the human body, in part by developing and then using simple and subsequently more refined models of the macrophysics of the human body. Many chapters include a brief review of the necessary physical principles. There are problems at the end of each chapter; solutions to selected problems are also provided. This text is geared to undergraduates interested in physics, medical applications of physics, quantitative physiology, medicine, and biomedical engineering.